Laura Lightbody has elevated a simple bowl into a contemporary piece. 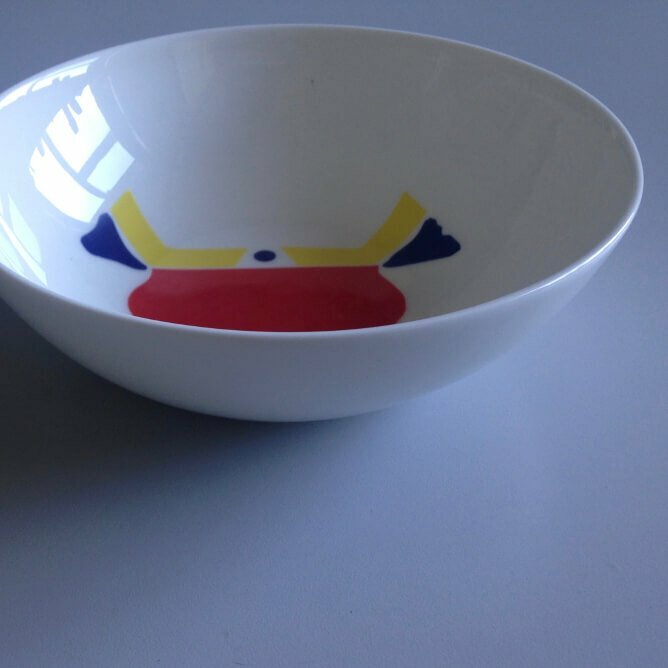 Using bold colours in eye-catching motifs, Laura Lightbody has elevated a simple bowl into a contemporary piece suitable for accessorizing any room in your home. 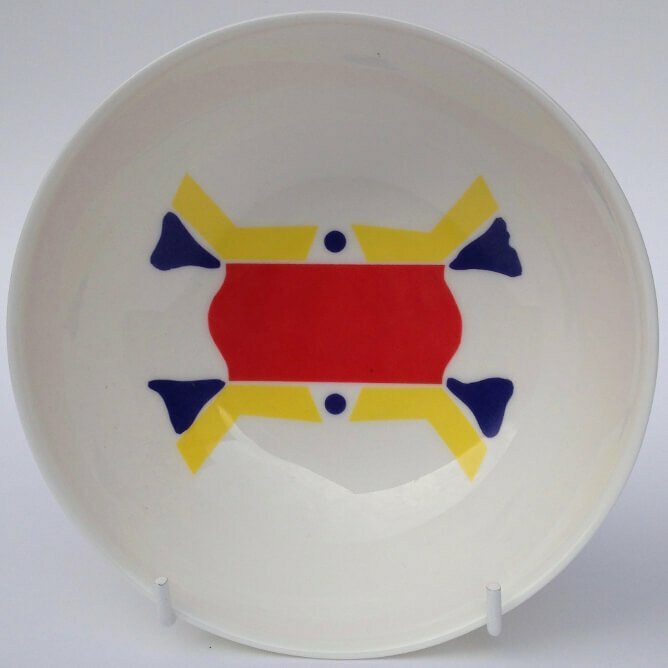 Laura Lightbody uses motifs taken from ephemera sourced from the everyday and produces ceramic compositions, which she applies as surface decoration onto simple elegant forms. This item is an ideal addition to any room. British sourced Fine Bone China and enamel decals. All surface decoration is cut and applied by hand.